The brief for this startup was to develop: business, strategic marketing and communications plans, and to design, create content for and develop new branding, collateral and website. 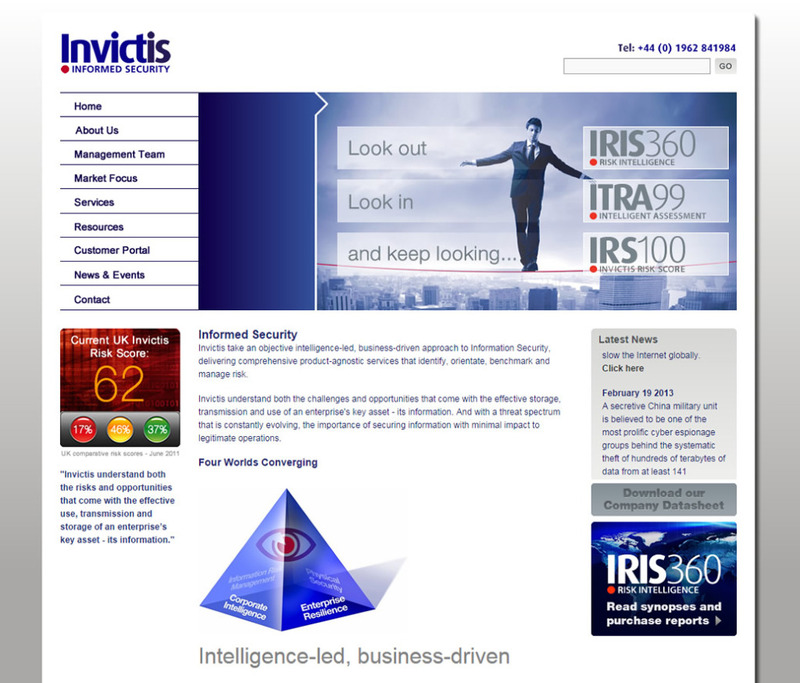 Launched Invictis using Public Relations, social-media/blog and multi-channel marketing techniques. Invictis easily beat its year one stretch targets, establishing itself in the; Oil and Gas, Legal and IT Services markets.